Slept late on weekend (working …). Did quick research 1am, woke up 5am, drove 75km to have this on Sunday morning. 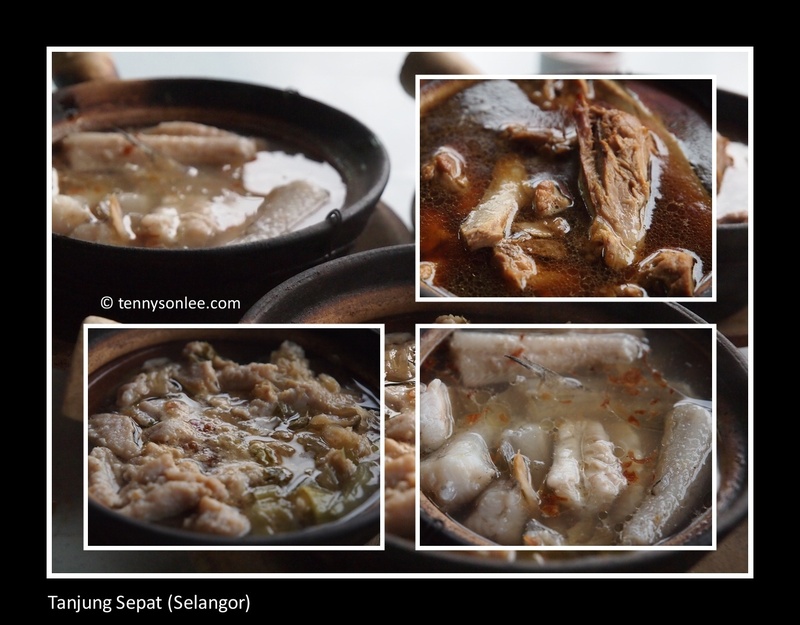 Folks stay around Klang area will recognize this famous pot for breakfast, lunch and dinner – Bak Kut Teh!!! The “Pork Bone Tea”. 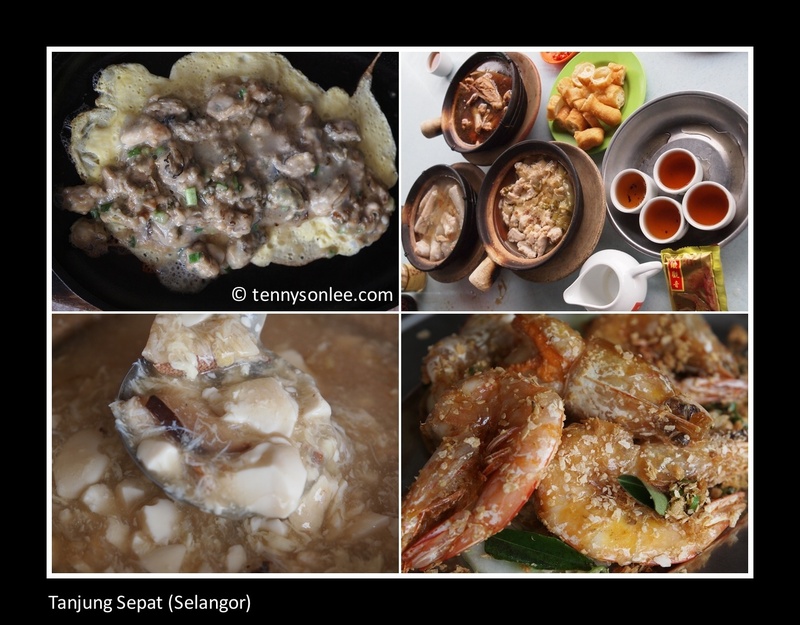 The little twist of overshoot from Klang to have breakfast at Tanjung Sepat (7am) was it was Seafood Teh at Yikee （裕记海鲜肉骨茶）. Did you see the prawn and fish on the table? This was my first time having Seafood Bak Kut Teh. The verdict? … interesting. 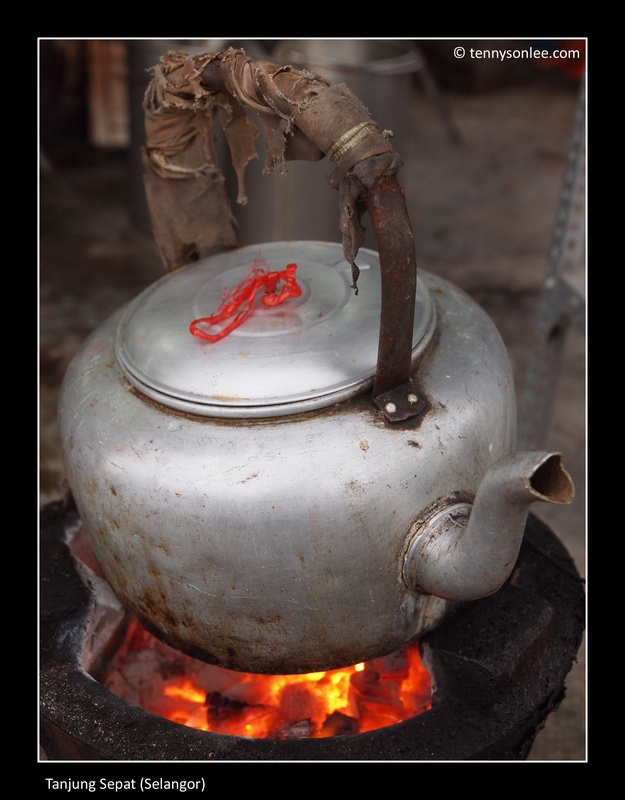 Next stop will be the pao shop – Hai Yeu Hin （海友兴). 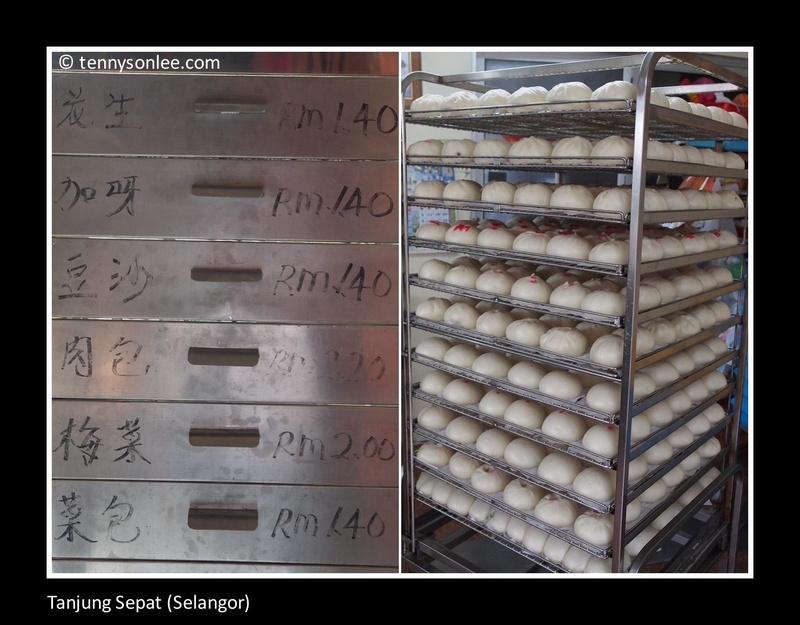 This legendary pao shop made thousands of pao every day, and it can make money the same speed as central bank printing money. I tried the unique vegetable pao ( 梅菜包 ), tasted good. 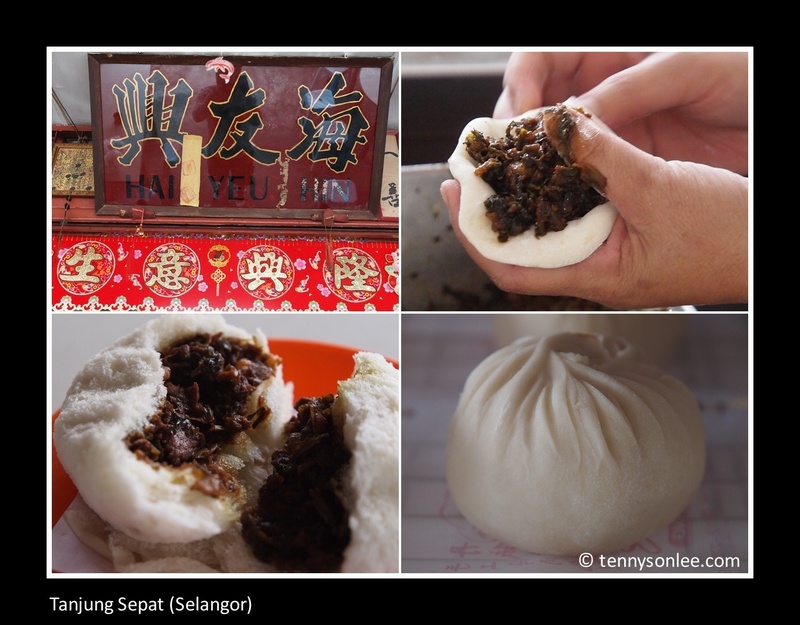 My favourite was the bean paste pao. I would say don’t put too high expectation but if this is your breakfast after a long drive, then it might taste better. The old shop was opposite the current new outlet, and they served good coffee to go with the pao. The coffee was made locally (the 3rd generation selling locally made coffee was just next door). Clarification: the hands making the Pao were not mine, they belong to the lady who shape the pao before sending for steaming. The lower left picture of the torn open pao was eaten by me, same type of vege pao. If you come late, buses (no kidding) of tourists would queue up, and they order tens to hundreds of pao per person (take away orders), so you may have to queue for a while. I was lucky before I reach the shop before it opened. If you have time, pay a visit to the Thong Hsing Trading, a fishball home factory near the same lane as Yikee Seafood Bak Kut Teh. 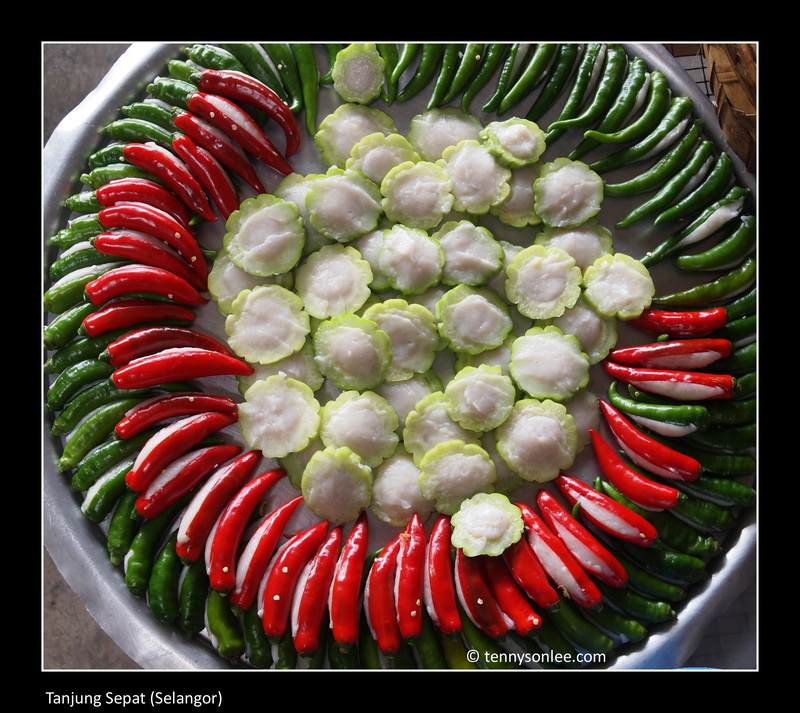 You can see ladies making fish paste and the Yong Tau Foo (stuffed fish paste into vege or taufu). Just watch out for the flies, and make sure you cook the fishball well done before eating if you don’t have strong stomach. A good choice to have lunch was at the Ocean Seafood Restaurent next to the entrance of Lover’s Bridge. 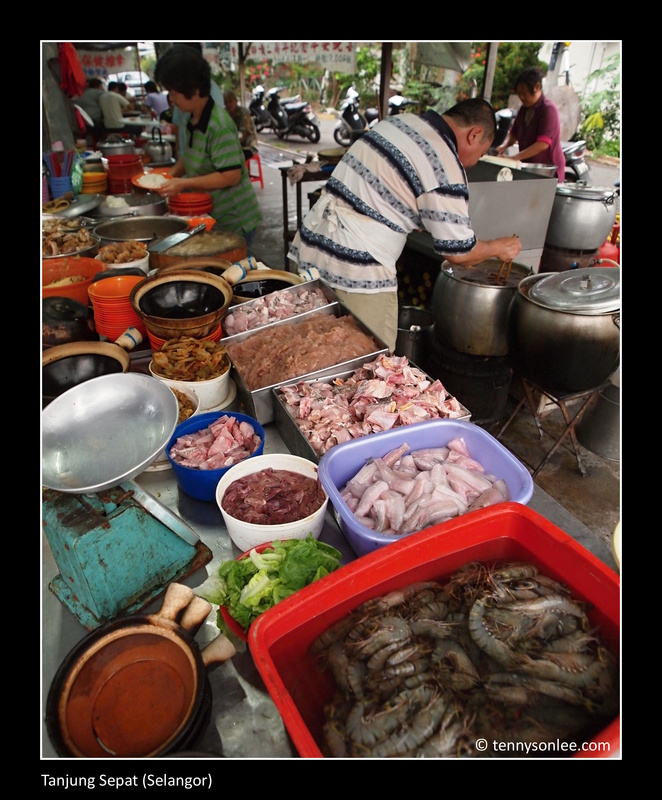 During weekends, it is advisable to order your dishes before 12 noon, else the chef may be too busy during peak hours to surf you fast seafood. I loved the taufu claypot, it tasted like shark fin soup without the fin, only crab meat, taufu and mushroom. more info about mushroom farm and fisherman catch in next post. This entry was posted on April 10, 2011 by Tennyson. 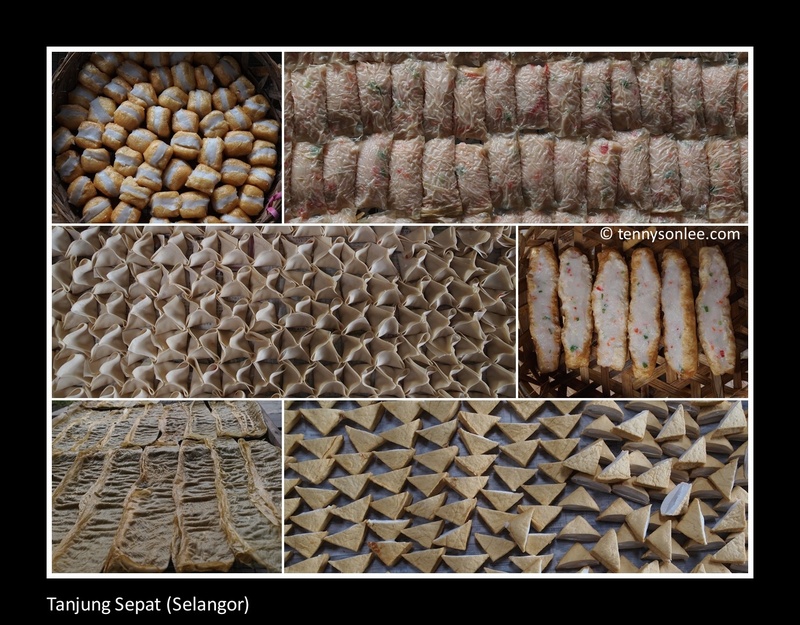 It was filed under Food, Malaysia, Selangor .